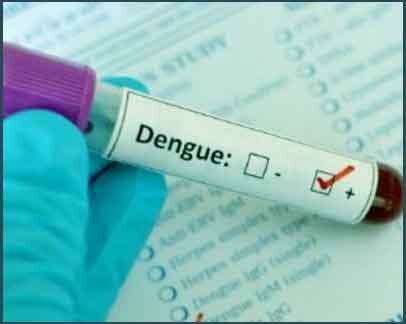 New Delhi: Twenty-two people have died of dengue so far this year, while as many as 20,664 cases of the vector-borne disease were reported in the country, the government informed the Rajya Sabha. Kerala recorded 10,377 cases and 18 deaths due to dengue till July 9, followed by Tamil Nadu and Maharashtra, with one casualty in each state during the period, Union Health Minister J P Nadda said in a written reply. Tamil Nadu reported 4,407 cases, while Maharashtra and Uttar Pradesh recorded 372 and 97 cases, respectively. Haryana reported one case and one death in the same period. Karnataka reported 2,193 cases, while Andhra Pradesh reported 633 cases. Last year, the country had registered 245 deaths and 1,29,166 cases of dengue. He said this year, till June, the government has supplied 1,793 anti-dengue kits across the country. “In the absence of any effective drug against dengue infection, it mainly depends on control of vector mosquito for which effective community participation and inter-sectoral coordination of various stakeholders are very important,” Nadda said.